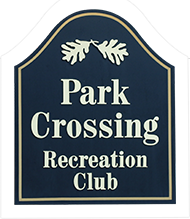 The Park Crossing Rec Club Ladies 5.0+ USTA Championship Team are champions in large part of the great coaching of our PRO. Beyond his many years of experience, Todd Upchurch has helped shape Charlotte tennis in his own way. He brings decades of experience in player development, event management, and has led NCAA and other amateur teams to various Championships. Matter of fact, other Tennis Pro's from around the South East come to PCRC for the bi-annual Tennis Summit run by Todd Upchurch. PCRC is a tipping point for future Pro's and tennis instruction, keeping Todd at the top of their game. This translates into a winning formula for PCRC Tennis Club Members - in championships and tournaments won, but also in creating an engaging tennis culture. Own and operate tennis management company with 4 full and part time tennis professionals. Tennis instruction growth in 2013 over 200%. Former Director of Tennis at Top 20 nationally recognized country club. Substantial success in hosting large events (Ivan Lendl exhibition) and Champions Tour Pro-Am. 23 years of teaching experience with a broad background in running public facilities, swim & racquet and country clubs. 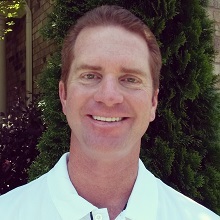 Current President of USPTA Southern Division. Well known speaker on social media and winning with the right attitude on a local and national level. Strong knowledge of CRM programs, MS Office and financial instruments which achieve set annual and quarterly goals. Specialties: Player development and motivation, leadership training, cardio fitness, consulting, retail merchandising and branding and identity through multiple marketing channels.